"I am satisfied that Heinz ought to have known that the representation that the products were beneficial to the health of children aged 1 to 3 years was false or misleading," Justice Richard White ruled on Monday. But he said those responsible for the packaging had "adopted a generally conservative approach to the claims which should be made". 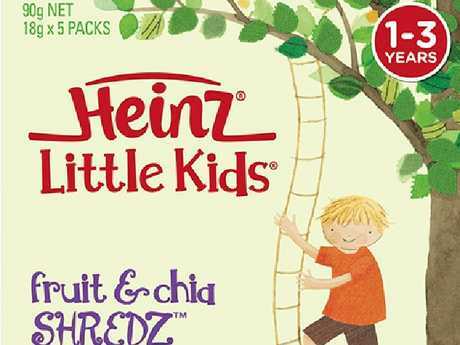 Australia's consumer watchdog had alleged Heinz had engaged in false and misleading representations in relation to its Little Kids Shredz products - a jube product the company said was made from 99 per cent fruit and vegetable juice and purees. 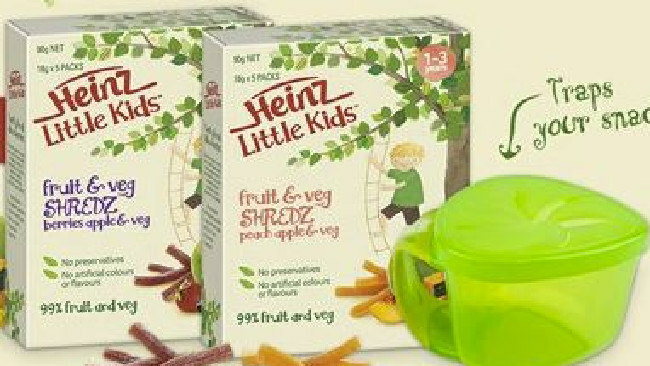 The court previously heard Heinz Little Kids fruit snacks were ‘not good for toddlers’. Expert witness for the ACCC, nutritionist Rosemary Stanton, had told the court in July such depictions were misleading as the product "is not good for toddlers". "This product is not that nutritious, it's not healthy and it's too high in sugar," Ms Stanton said.